As opposed to the previous vintage, 2012 is characterized by abundant precipitation from April until June and accompanied by rather chilly temperatures. The flowering was unequal and very late. Our stringent pruning in the vineyard allowed us to control the mildew and oïdium threat that were all pervasive during the spring. From June on, the sun finally shined and we had dry weather throughout the summer. On the eve of the harvest, the health of the grapes permitted us to bring the late-harvesting Cabernets right up to their perfect maturity. The 2012 vintage came a long way! It is definitely considered as a “Winemakers vintage” in the Bordeaux region. 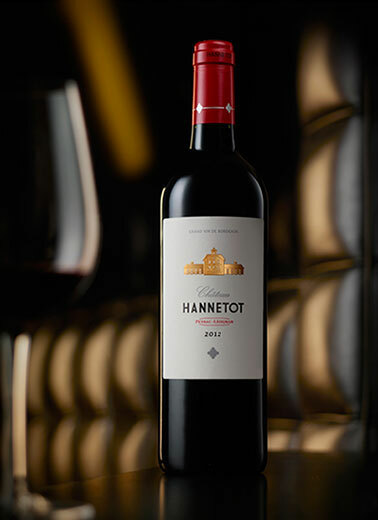 Due to the great care taken in the vineyard, Chateau Hannetot was in a position to magnificently express the quality of its terroirs.